In a world of mass production and mediocre quality, there is a company that still builds Precision Handcrafted Tools one at a time. 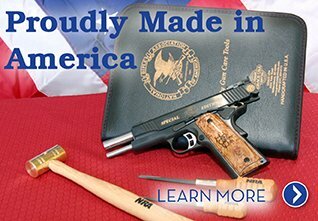 And now for almost three quarters of a century, generations of skilled craftsman have continually crafted the finest handmade tools for the gun industry, woodworking, industrial, military and mechanic trade. 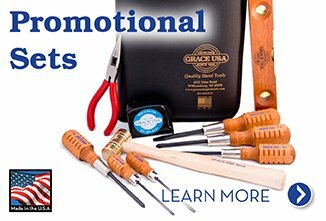 All GRACE USA tools are manufactured from the best American Made materials to a high standard of excellence by craftsmen who care about the products they produce. 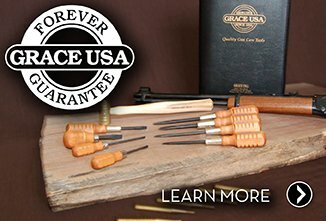 Once you experience the Genuine, Precision, Quality of a GRACE USA Handcrafted Tool, you’ll understand that pride of ownership is more than just a name, it’s a Trust.